What? 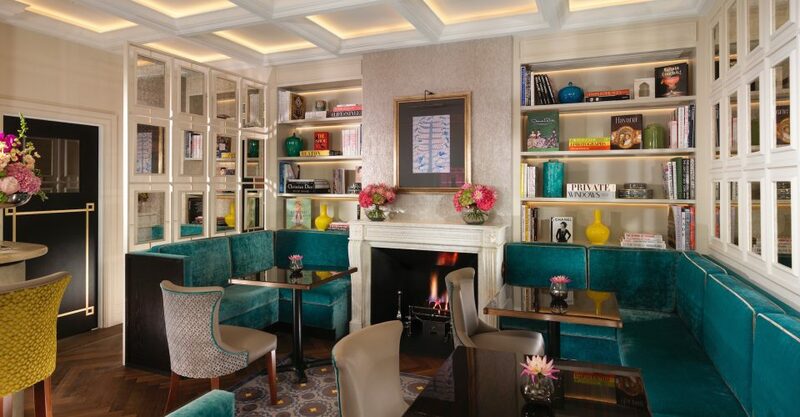 One of the last remaining privately owned hotels in London and the hotel thought to be the inspiration for Agatha Christie’s novel At Betram’s Hotel, Flemings Mayfair is also home to restaurant, Ormer Mayfair by Shaun Rankin and the Manetta’s bar. New? Nope, Flemings is actually one of London’s oldest established hotels having opened in 1851 with parts of the building (it’s made up of thirteen Georgian townhouses) dating back to 1731, so no, it isn’t new. That said it has had a recent multi-million-pound refurbishment, which not only gave the hotel a new lease of life, but also reinstated many of the hotel’s 18th century period features. Looking back to the early 1930s, the new look has been designed by renowned interior designers Tully Filmer Ltd. 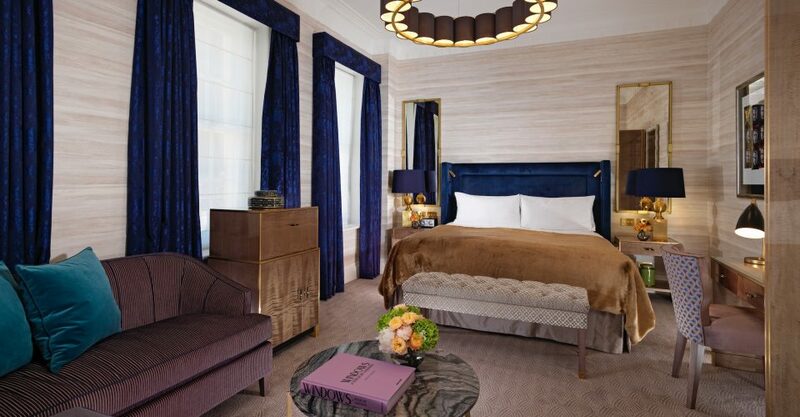 Rooms: Bigger than boutique hotels but much smaller than the likes of the nearby Ritz and Mayfair Hotel, Flemings Mayfair is home to 129 luxury rooms and ten apartments with one, two and three bedrooms. We were staying in the first room in the hotel, it was rather nice just walking up half a flight of stairs, especially after eating at Ormer Mayfair. The rooms feature three-metre-high ceilings with period and striking but understated features, like the giant dark mustard yellow velvet headboard. Shades of grey, bronze and latte and dotted with striking photos of celebrities by photographer Dr. Andy Gotts MBE, we had Kylie Minogue and Robin Williams in our room. Whilst our bed looked incredibly inviting and spacious, it didn’t pass my hotel bed test (flinging myself backwards onto it – life is all about the simple pleasures) and was unfortunately rather hard, although I’ve since been told that I if I stay again they will ensure my room has a mattress topper so full marks for listening to my feedback. Whilst our room didn’t have one of the landscaped terraces it did feature a living area and an excellently stocked bookshelf. Extra touches throughout the room include Nespresso coffee machines and if you’re in a suite then a mini gin ‘honesty’ bar. And the dark bathroom featured mosaic and marble floors and the bath was wonderfully deep, a welcomed sight after a long day. Bar: Recently revived and taking on the name of the original hangout back in the 1930s, Manetta’s bar is a sumptuous speakeasy bar, with quite possibly the comfiest chairs in London, sit down and you’ll struggle to get back up. 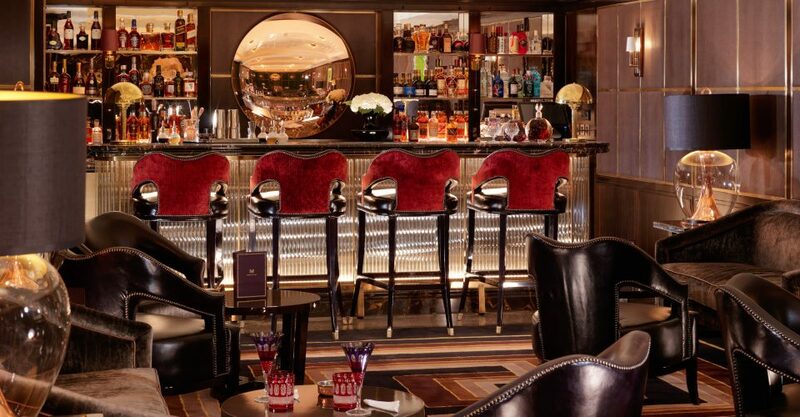 Opulent and dark, the bar harks back to the grandeur of the late 1920s and early 1930s. The walls are adorned with bright, bold portraits of Agatha Christie, Gertrude Stein and other authors. It’s your new, secret ‘in the know’ bar for late night drinks. Restaurants: Flemings Mayfair is home to Shaun Rankin’s Ormer Mayfair, a classic British, 1930’s-inspired restaurant designed by Tony Filmer and serving up the best Jersey and Britain has to offer. And it really is excellent. Lined with aged oak wood panelling the room features Carrara and Nero Marquina geometrical, monochrome marble floors and in a nod to the coast and British landscape, forest green velvet banquettes and seashell light shades. 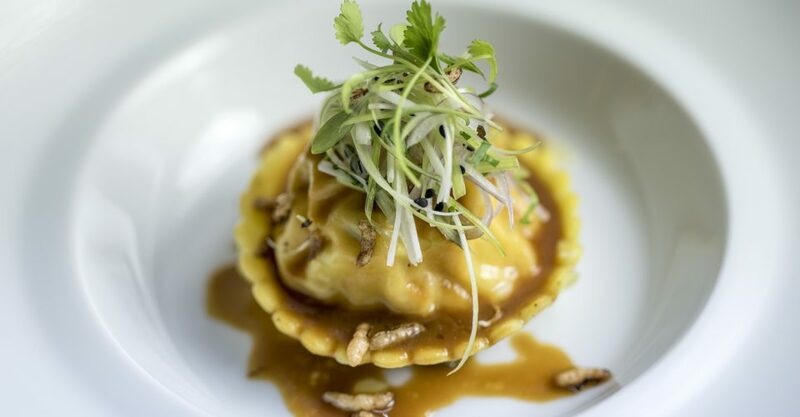 On the menu you’ll find the likes of lobster ravioli with a crab and tomato bisque (a little too al dente when we had it); roast duck and foie gras with pink grapefruit, cabbage and granola and tuna sashimi with scallop ceviche, bloody Mary jelly, avocado, cucumber and wasabi. There’s also a vegetarian and vegan menu with dishes including homemade gnocchi with truffle and wild mushrooms and heritage carrots with cumin caramel and puffed quinoa. From the main menu stand out dishes included an excellent dish of hand-dived scallops with confit chicken wings and crushed artichoke and the salty pork belly with calamari, spicy chorizo and sweet apple chutney and pressed Asian pear. For pudding you have to go for the Shaun Rankin original treacle tart served with a satisfying scoop of Jersey clotted cream ice cream, mint and raspberries and thankfully the tart wasn’t overly citrusy, just gloriously sweet. Go With: Besides The Drawing Room the hotel has quite a dark, seductive, secretive tone to it, so take your partner. Final Word: Flemings Mayfair feels like one of those hotels that you stumble upon, but once you’ve found it you know that it’ll be instantly become a firm favourite. This entry was posted in Food & Travel, Places to Eat, Places to Visit and tagged Flemings Hotel, mayfair, Places to Eat, Places to Visit. Bookmark the permalink.